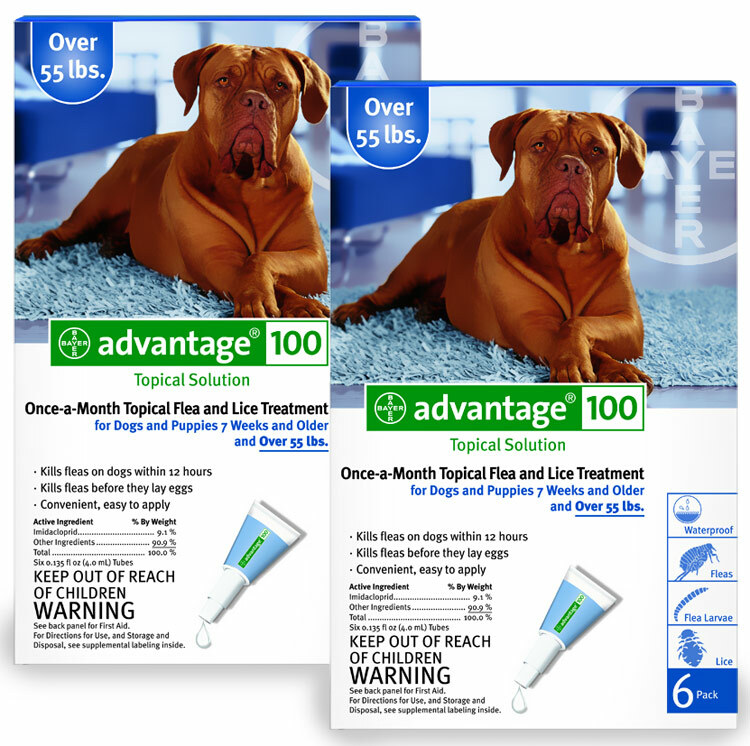 12 MONTH Advantage Flea Control Blue: For Dogs Over 55lbs.12 MONTH Advantage Flea Control Blue: For Dogs Over 55lbs. 12 MONTH Advantage Flea Control Blue: For Dogs Over 55lbs. Advantage Flea Control is now being offered as Advantage II Flea Control, Please click here for more information. 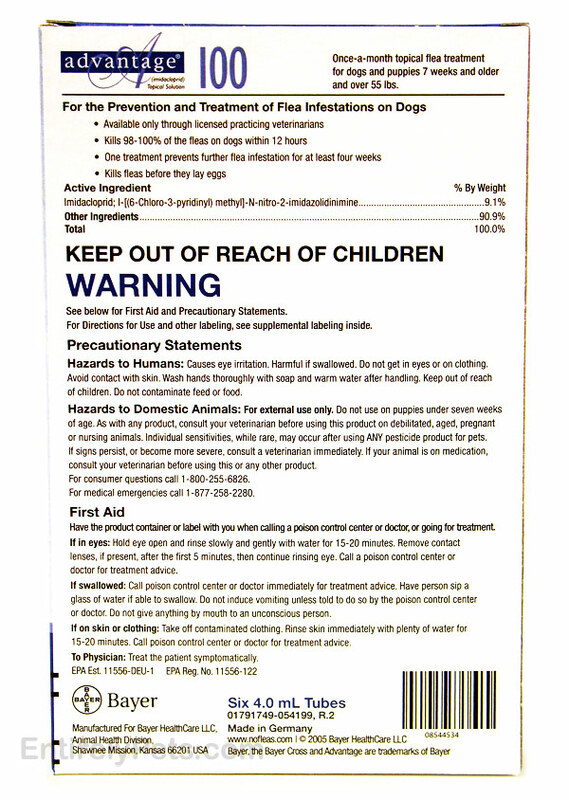 Advantage Blue kills fleas on dogs fast. Advantage kills 98% of fleas within 12 hours and continues to work for up to one month per application. It also breaks the flea life cycle by killing flea larvae. Advantage can be used on puppies as young as 7 weeks old. Also, it is safe for dogs that are pregnant or nursing. Advantage is water-resistant, so it kills fleas even after shampooing and exposure to rain. Advantage is applied between the shoulder blades on dogs.